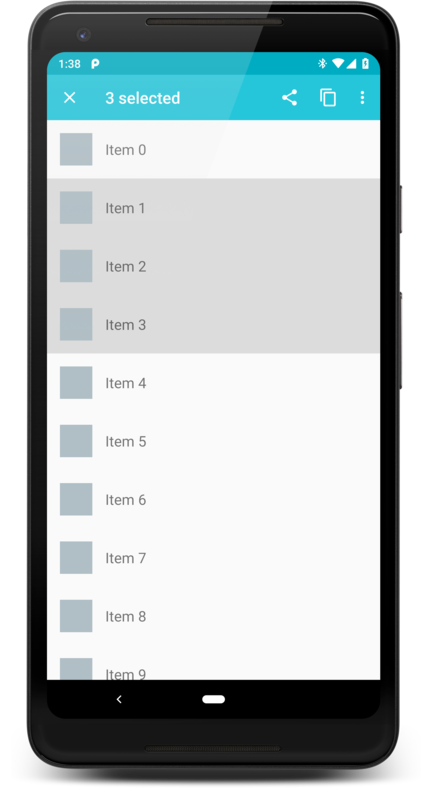 Material CAB allows you to implement a customizable and flexible contextual action bar in your app. The traditional stock CAB on Android is limited to being placed at the top of your Activity, and the navigation drawer cannot go over it. This library lets you choose its exact location, and a toolbar is used, allowing views to be be placed over and under it.